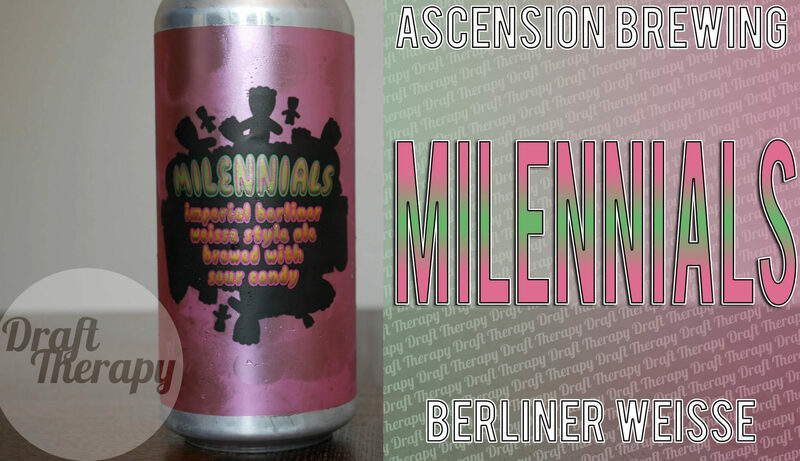 Ascension Brewing – Milennials Imperial Berliner Weisse with Sour Patch Kids! Ascension Brewing Company just celebrated their 3rd anniversary this past weekend (September 29th, 2018) and to commemorate the event, they had 4 beer releases – two version of “Just Toorf”, a Rye Barrel Aged Gorilla Juice (weighing in at a whopping 19% abv) and the beer I have here today – Milennials. Milennials is a 7% Imperial Berliner-Weisse that’s been brewed with Sour Candy (aka sour patch kids), and while I abstained from trying it at their anniversary release, I’m totally looking forward to trying it on today’s video!